Car share refers to two or more people from outside the same family sharing their journey. Car share can help to cut congestion outside the school gates. Informal car share may be an option for families travelling from a similar direction, especially to rural schools where the car may be the primary mode of travel. Formal car share schemes involving children cannot be promoted by schools. However, many families will continue to informally car share to school. 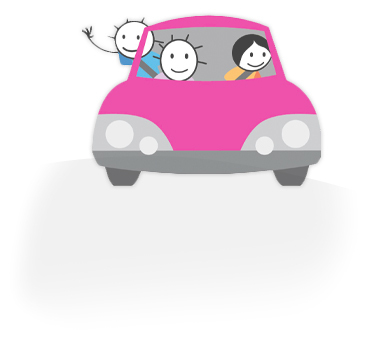 Schools can facilitate the introduction of families who may wish to car share. Car share guidance given by Vetting and Barring can be downloaded from this page. Driving with passengers and especially children in the car can be a distraction. A one hour driver assessment aims to help you overcome the distractions that passengers can pose and increase your safety on the roads. An assessment in your own vehicle conducted from your home. Fuel efficient and defensive driving advice. Transport for Buckinghamshire’s Road Safety Team is working with many partners to try to reduce the number of young drivers killed or seriously injured on our roads. Nationally, there are over 3000 people killed each year on the roads and a third of those are young drivers, aged between, 17 – 24, (despite them accounting for only a fifth of all licence holders). Young drivers are vulnerable through lack of experience and they find themselves in situations that they had not encountered whilst learning to drive, also after passing their test they are more likely to drive in a way that reflects their personality. There are certain key risks that lead young drivers and their passengers to be more vulnerable, for example distractions such as using mobile phones, (including hands free) fiddling with radios and in-car equipment. However, by far the biggest risk facing young drivers is carrying peer age passengers. Even with one passenger they are 30% more likely to be involved in a fatal crash. For two passengers the risk of being involved in a fatal crash goes up to 85% and once there are three or more passengers in the car the risk catapults to them being 182% more likely to be involved in a fatal crash. Research shows that peer pressure can encourage bad driving and result in drivers ‘showing off’ to their passengers. This as we know from experience can result in the death or injury of the driver and of several passengers or other road users. The mere presence of young passengers, together with the distraction of conversation can be distracting to inexperienced drivers who should be paying close attention to the road.